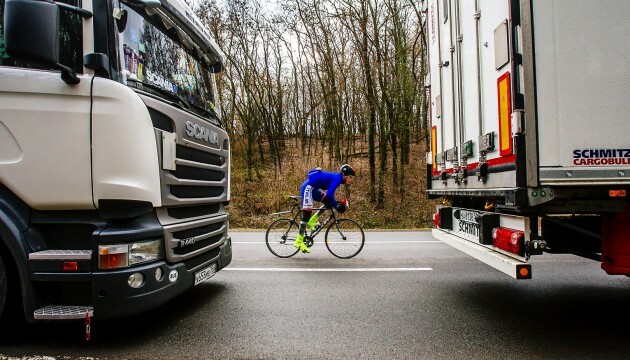 The Russian Federation in violation of rules and procedures of the World Trade Organization and bilateral intergovernmental agreement on truck haulage on a unilateral basis stopped movement of Ukrainian trucks on the territory of Russia. "Until Russia provides explanations and the issues is settled Ukraine temporarily suspends transit transportation by trucks registered in Russia on the territory of Ukraine. The corresponding protocol decision was made at a meeting of the Cabinet of Ministers held on Monday, February 15," reads the statement. Ukrainian Prime Minister Arseniy Yatsenyuk noted that due to the fact that the Russian Federation violated the WTO rules and procedures and on a unilateral basis stopped movement of Ukrainian trucks on the territory of Russia, the Foreign Ministry of Ukraine urgently sent a note to Russia demanding to explain such illegal actions. The Prime Minister added that Ukraine urged Russia to fulfill the WTO requirements and resume transit movement of Ukrainian trucks.